It’s the first time in 10 years that moviegoers have seen the Men in Black in theaters. 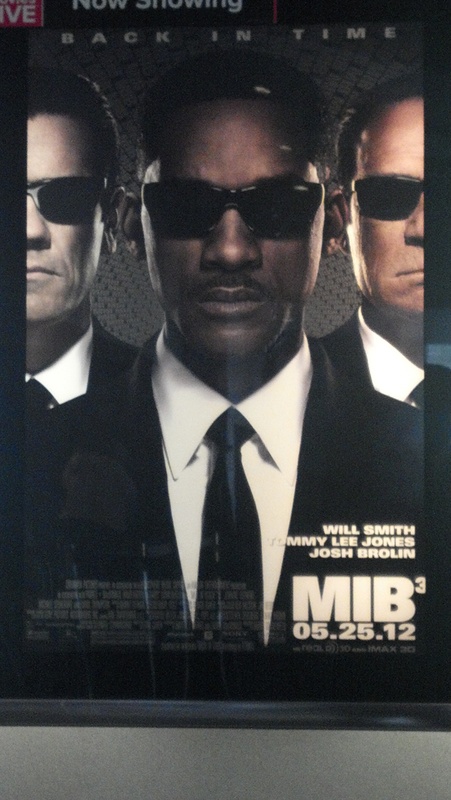 After three and a half years, Will Smith returns to the big screen alongside Tommy Lee Jones as they reprise their roles as our favorite Ray-Ban wearing, galaxy-defending secret agents in Men in Black 3. After a deadly Boglodite alien known as Boris the Animal [Jemaine Clement (Flight of the Conchords, Rio)] escapes from a maximum security alien prison, he plans to go back in time to kill Agent K as he was the agent who incarcerated him. Boris is successful in his plan but the repercussions of K’s death become so dire that it is up to Agent J to go back in time (July 15, 1969) to stop Boris from killing Agent K. Along the way, Agent J runs into young Agent K played by Josh Brolin, who eventually assists Agent J in the search for Boris. Jones does well playing the usually reserved Agent K & Smith shines playing a more mature Agent J without losing his charm. Brolin does such a great job playing a younger K, you would think that they (he and Jones) were the same person. The chemistry between Smith and Brolin is as it was with Smith & Jones. MiB3 also features good supporting performances from Alice Eve and Emma Thompson as past and present Agent O, Michael Stuhlbarg as a clairvoyant alien named Griffin & SNL’s Bill Hader providing a bit of comedic relief as Andy Warhol. 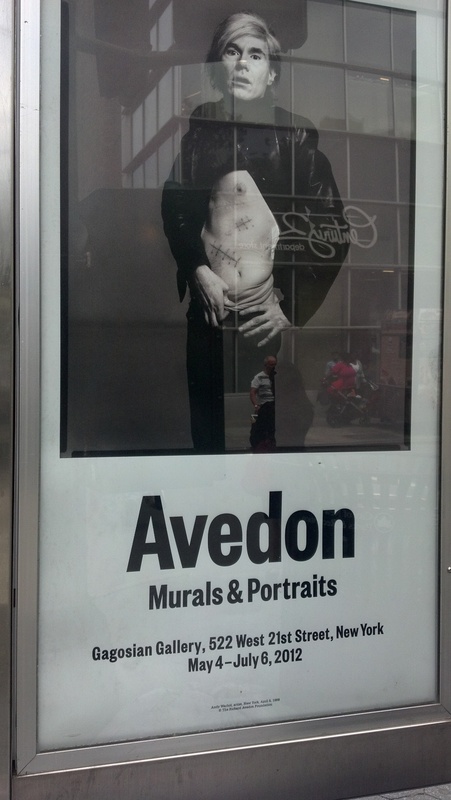 Imagine my surprise when this Andy Warhol exhibition ad was found just a couple of blocks nearby the theater. With Danny Elfman providing another spectacular score under the direction of returning director Barry Sonnenfeld, Men in Black 3 maintains much of the feel of the previous movies. However, the plot is very focused towards the end goal of stopping Boris while simultaneously making time for character development. Translation: this story is far better than MiB2. MiB3 is also filled with plenty of action as well as beautiful production & set designs that pay homage to the elegant look of 1969 while maintaining the tradition of Men in Black’s ever advancing style appropriate to its respective time period. There are times within the movie when the comedy falls flat or just seems to run on too long. While Clement seemed to capture the menacing side of Boris the Animal, there could have been more passion put into the villain. The audience will understand why Boris does what does he does. However, his character could have had more passion in what he was doing as opposed to a Terminator like character. For those who may think about taking young viewers, there is a part in the beginning where a tiny alien enters into Boris’ hand that may startle small children.